My Duke’s Seduction by Tammy Andresen | Yet another blogging mummy!!! I have received a free e-copy of the book My Duke’s Seduction by Tammy Andresen to review. Lady Tricia Riley is the sweet daughter of a duke until her family’s ailments force her to breech societies’ dictates and go where no lady should… the docklands. When a tall, strong and handsome stranger helps to keep her safe, she agrees to keep their meeting, secret. She’s no interest in marrying a tall and darkly handsome stranger. Actually, she has no intention of marrying at all. Instead, she plans to dedicate herself to charitable pursuits. Ryker Pembroke, Duke of Landon, will marry eventually, as duty requires him to do. But it is a fate, he regards with a certain amount of dread. That is, until an auburn haired minx bursts into his life. Her warmth, charm and giving nature draws him to her even as he attempts to maintain a safe distance. She is entirely wrong for him with her impulsive nature and blatant disregard for her own safety makes her a terrible choice for a wife… doesn’t it? This is a stand-alone romance with a lovely HEA! The heroine does appear in the Earl of Sussex: Wicked Earls’ Club. And the books that follow will all be connected with the Earl of Sussex and his lovely bride, Tabbie. This is the first book in the Wicked Lords of London series set in 1816. However Lady Tricia did briefly appear in The Earl of Sussex which I had read a few months ago. Her sister was the heroine in that book. The story starts with Lady Tricia Riley alone at night in the London docklands, not a great place for a respectable young lady to be. She is searching for her cousin Fenton, who she is worried will die in the opium dens. But she is scared as some drunks emerge from a pub, leering and grabbing at her arm. Thankfully she is rescued by the mysterious Ryker, a gentleman who we later discover to be the Duke of Landon. However she foolishly wishes to continue her search rather than be escorted to safety. So Ryker suggests that he will send someone to look for Fenton tomorrow instead. As they walk to where Ryker’s carriage is waiting, they hear a baby crying and Tricia picks up the abandoned infant. Another rescue. They take the foundling to an orphanage that her sister had opened, before they part ways close to Tricia’s home. The next day she realises that she doesn’t know who Ryker is, so how will she know if Fenton has been found. She decides she will have to find Ryker to ask, but the only place that she knows to look for him is the docklands. So having already narrowly escaped ruin once, she plans yet another night time escapade. What will happen this time? My Duke’s Seduction is available on Amazon, currently priced at 99p in Kindle format. This is a nice romantic story, when you want a light read between thrillers. 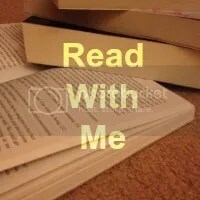 This entry was posted in Book reviews, Reviews and tagged book review, books, fiction, historical fiction, review, romance, Tammy Andresen on May 8, 2018 by mumjd. This sort of book isn’t generally my cup of tea, but this does sound rather intriguing. This sounds like a good book to read on holiday, not too complicated!